In today's competitive landscape, image is everything. There is no question that fabric is the top choice in today’s retail marketing landscape. With our legacy of 30 years in fabric printing, we can help you create vivid, impactful in-store soft signage solutions that will get your brand noticed. As you launch new campaigns, store graphics can be quickly changed to reflect your current offerings. 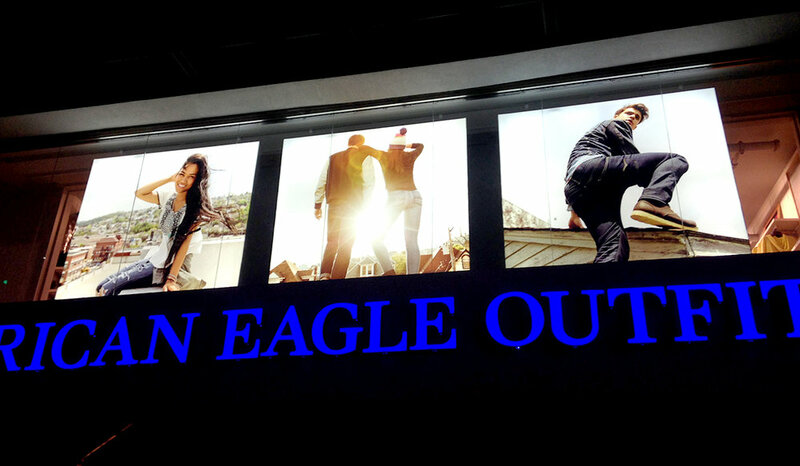 SEG lightboxes are powerful centerpieces, while window decals, hanging banners and free-standing displays complete the campaign. For longer-term projects like renovations or new store launches, the right graphic accents will create an atmosphere that will draw customers in. See how Xarisma can help execute your next in-store campaign.